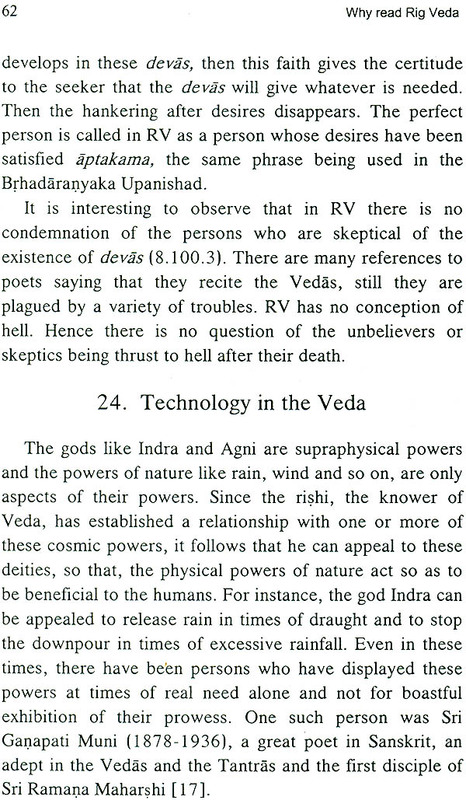 Books > Hindu > Vedas > Rig Veda > Why Read Rig Veda? Vedic hymns are not products of clever constructions of thought diction and speech. They were revealed to the Rishis who were inspired by a profound encounter with reality as such. The hymns therefore are in the nature of mantra-perceptions. 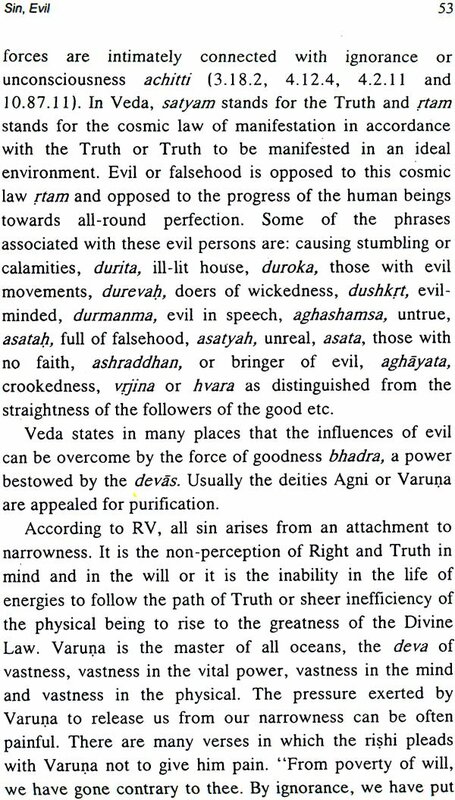 ‘Why Read Rig Veda’ emphasises the aspect. The sages of Rig Veda expressed their wisdom about the goal of existence and the methods of achieving the goal. Rig Veda has more than forty hymns about the aspects of every day life. 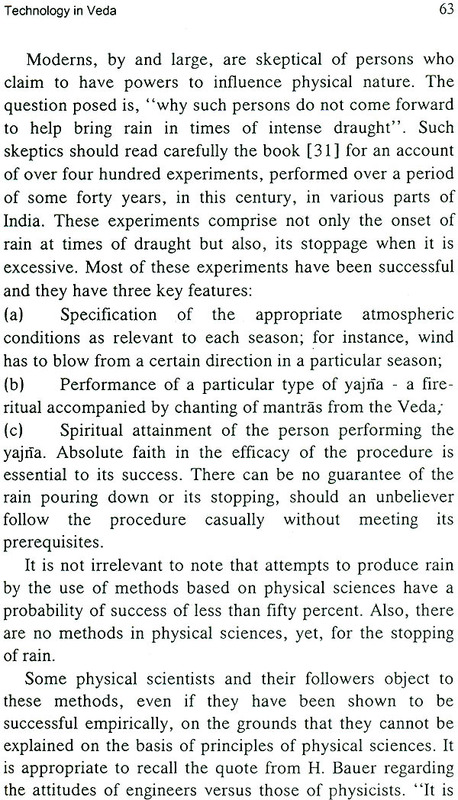 This is elaborated in ‘Why Read Rig Veda’. In every action we see the dominant contribution of the devas. Thus, both devas and humans are collaborators or co-creators in all activities. Eventually, every human being can achieve the perfection natural to a cosmic power, deva. This comprehensiveness of knowledge distinguishes Rig Veda from all other spiritual books. The twenty-five essays in this book give a broad overview of spiritual and psychological wisdom in the Rig Veda Samhita. The author has answered some of the questions raised often on this subject. Dr. R.L. Kashyap is a scientist. He has authored more than 350 research papers. He has guided more than 50 Ph.D. scholars. He has to his credit six major books on the Veda. 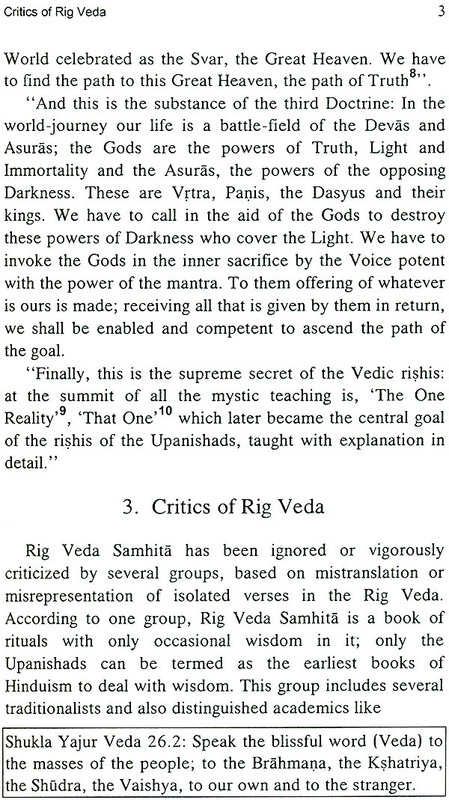 In ‘Why Read Rig Veda’ he has highlighted the relevance of Veda to the modern world. The aim of the twenty-five essays in this book is to give a broad overview of spiritual and psychological wisdom in the Rig Veda Samhita, answer some of the questions raised and point out its relevance and necessity for the modern readers. 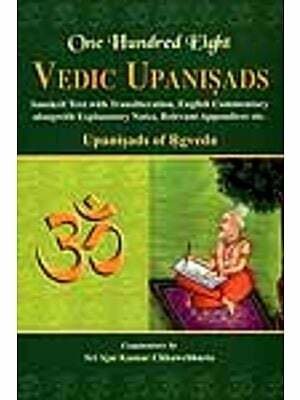 The ideas in these essays are supported with about hundred and fifty quotations from the verse of the Rig Veda; the translations of some of these verses are also give. The quote are from all the ten mandalas of the Rig Veda. Rig Veda Samhita contains more than ten thousands mantras in ancient Sanskrit which is different from classical Sanskrit. It is moreover exquisite poetry. There is no real poetry without extensive symbolism and Rig Veda is no exception. However the moderns completely ignore the symbolism and write all sorts of essays on it portraying it as silly and devoid of wisdom. They often quote a mistranslation of a small number of verses to support their dubious contentions. (i) Some of the shortcomings of the modern Hindu Society can be supposedly traced to the Rig Veda since it is its earliest scripture. Hence how can it be relevant now? The question in (i) is based on a false premise. Some of the untoward aspects in modern Hindu Society persists because of ignoring the high ideals mentioned in the Rig Veda, its earliest book. The society pictured in Rig Veda had high regard for women including their right for choosing their mates, high regard for the concepts of freedom and equality, respect for sceptics and unbelievers, respect for knowledge coming from all quarters etc. All these ideals are very much relevant and necessary today. In no other religious text do we find mention of such high ideals. Moreover in all religious, there is a wide gap between precept and practice. 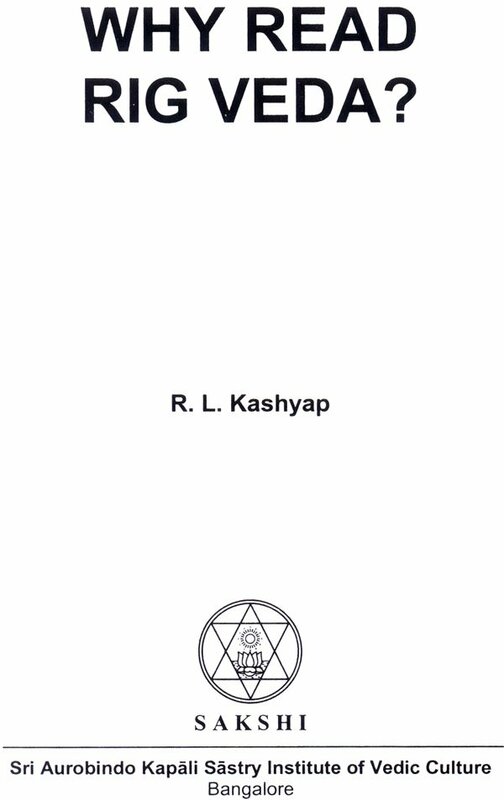 The question (ii) is handled in detail in the chapter on Upanishads, and that on psychology. It is worthwhile to note that the three yogas of Bhagavad Gita namely yoga of knowledge, yoga of works and yoga of devotion, surrender and developing a personal relation to the deities can be traced to Rig Veda directly. 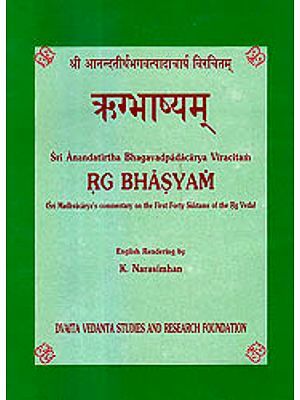 The specific yogic methods developed in Rig Veda are unique and highly effective. 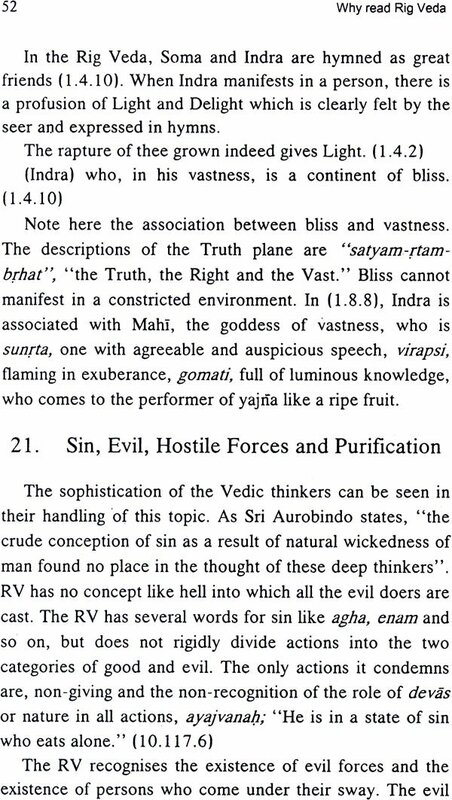 Sri Aurobindo goes on to note the sad state of affairs regarding the study of Veda,” If Indians hardly understand the Vedas at all, the Europeans have systematized a radical misunderstanding. Their materialist interpretations, now dominant in cultivated minds, translated into modern tongues, taught in our universities…. Has been more fatal to Vedic Truth than our reverential ignorance…”. 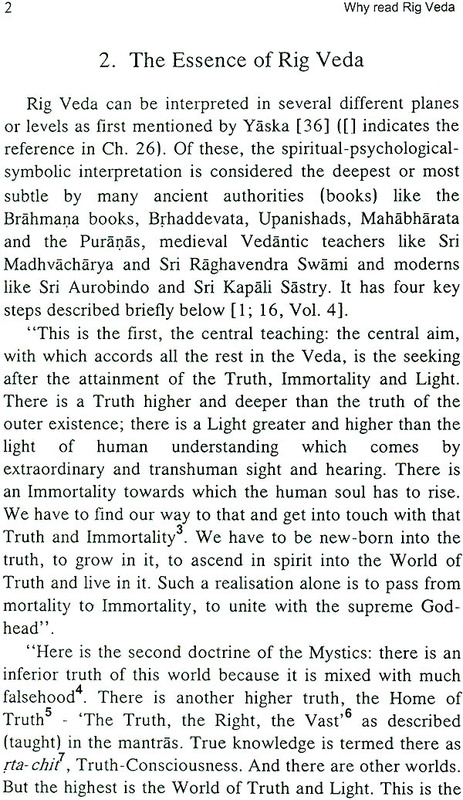 Sri Aurobindo’s statements made in 1912 are very much valid today also. 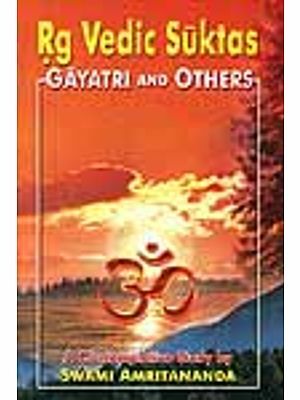 Sri Aurobindo, Sri Kapali Sastry and others have written extensively on the symbolism in the Veda and the secret in it supported with the translation of more than four thousand verses. The essays in this book are based on their work.